Among your resolutions for 2018, one of the things that you should list is shedding off a few extra pounds from your body. There are many reasons why you should, the chief reason being that it would be great for your health as you will eliminate stress and look great. 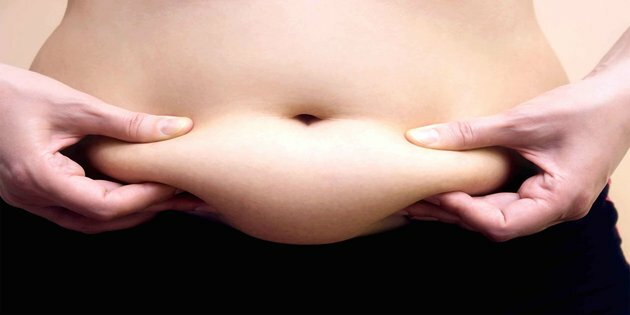 Here are some reasons to lose weight explained in detail. If you need only a single reason to motivate you to work towards shedding off extra pounds, it is this one. Losing weight is great for your health. It’s not a secret that being overweight can have grave effects on your body often resulting in despised medical conditions such as diabetes and cardiovascular illnesses. When it gets serious, being overweight can even take your life. What this means is that it is important for you to design a custom diet plan and workout routine to help shed those extra pounds off your body. To look good, you have to feel good, that’s what it takes. According to many people who had been overweight, losing a few pounds had an incredible effect on their overall mood and attitude towards life which led to their self-esteem skyrocketing. How you look will go a long way in making you feel better about yourself from the inside out. As you shed a few pounds, one of the best things you will be amazed at will be your ability to carry out activities that seemed very foreign to you before. As your physical shape improves, you will be able to partake in a lot of complex activities such as athletics, sports or even running. Being able to keep your body active in this kind of manner has a lot of wonderful benefits that are too valuable to just pass over. Because you are reading this article, I can assume that you have your specific fitness objectives and goals written down including the amount of weight you’d like to lose before the year ends. It’s no doubt that goal achievement is one of the most amazing things in the world, and by reaching your weight loss goals, you are likely to feel a deep sense of accomplishment. The reason you’d feel this way is that weight loss takes consistency through discipline and effort and such traits are worth developing. If you want to feel less stressed and more relaxed, then a simple weight loss routine and diet is all you need to make that happen. When you have a controlled diet, you will go a long way in preventing yourself from taking too much calories that may lead result in your gaining more weight than usual. Apart from the diet, exercising is known to release endorphins in your body which are hormonal substances made primarily to make you feel happier and better about yourself. Something definitely worth a try. What are you waiting for, start working to shed off those extra pounds right now! And like I said before, you can get healthy, you can be happy and you will feel secure. I Hope you enjoy reading this article and you will just subscribe to receive your free report.